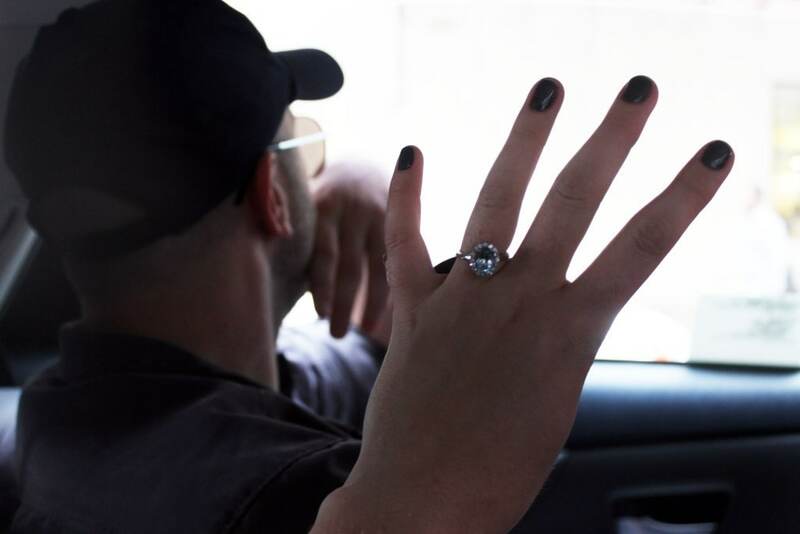 Wedding Deets – The Ring! I got me an engagement ring. I told you that we were having such a ridiculous time figuring out what to order, who could do the work, if we could afford it, etc….it was quite a process! It’s got my grandmother’s pretty aquamarine stone in it, and I’m fully obsessed with how lovely it is. I’m travelling today, so I don’t have a new recipe for you, but I did want you to see what a huge loser I was in New York, which I told you about yesterday. What I forgot to mention was that the jeweler came through at TEN PM the night before we flew out, so I was newly enthralled with this thang when we got to the city. 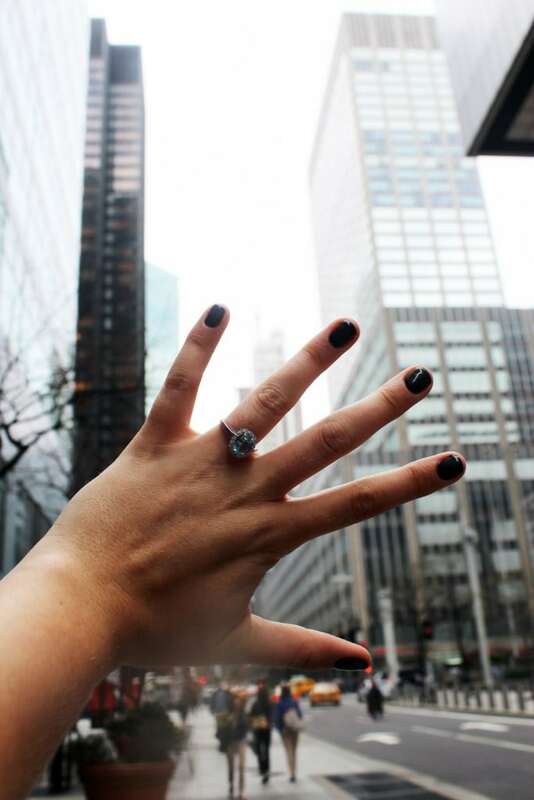 So, I took some time to document how good my ring looked in cabs. And in front of large buildings. Silliness indeed! Mainly, I want to give a huge shoutout to the extra-affordable and personal service we got at Golden Hedge Jewelers in Greenville, SC. Go to them, anyone in this area. They were wonderful to work with, and legit stayed in their shop finishing my ring until TEN AT NIGHT so I could have it for my trip. This is why we like to deal locally.